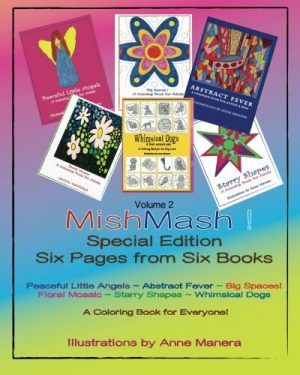 40 pages of hand-drawn designs for coloring into an angelic realm of joys! Experience 27 unique and divine angels with 23 renditions from the original fine art paintings of the Angel Portrait series by artist Elizabeth Marie. Each angel waits for you to connect and color them to life, the way you feel and see them. 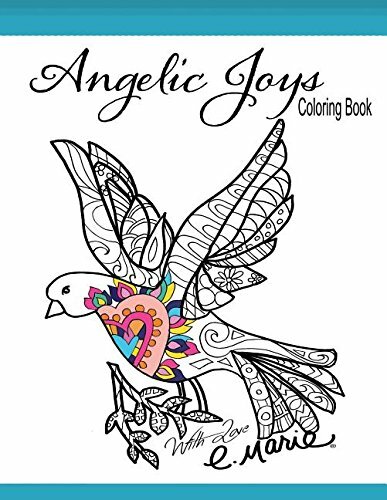 Then venture into the fun of coloring doves, angel wings, flowers, butterflies, and even a halo! PLUS a bonus design, a message from the Angels to you. 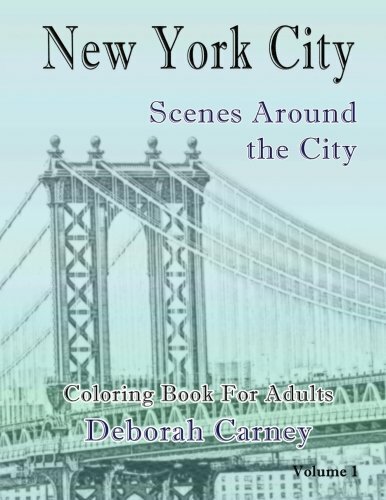 This coloring book is tranquility wrapped up in the spiritual gift of fun, coloring fun. You’ll get to experience angels, connect with them as you calm your thoughts and focus on the colors and patterns of their designs. Just grab your colored pencils and let loose on your imagination. 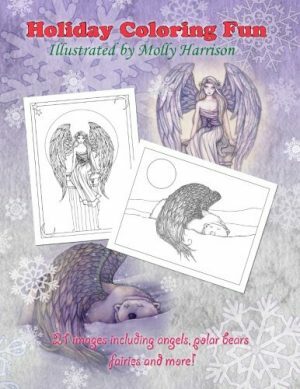 Holiday Coloring Fun by Molly Harrison: Angels, Polar Bears, Fairies, and More!